QtitanNavigationDesignUI component a set of GUI controls that implements a navigation interface like a hamburger menu, navigation frame, command bar and adds controls the main task of which is to improve the user experience for Qt.C++ app. 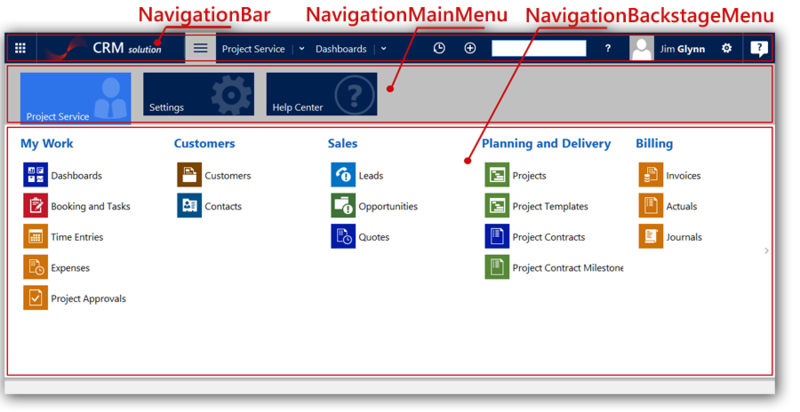 QtitanNavigationDesignUI has a controls combining various paradigm of the user interface construction "Ribbon UI" and "Side Bar" gives better the navigation within your application, makes access to parts of the application more intuitive for the user. As a result it allows more information to be displayed at the same time and lets you efficiently view all entities (work areas, grids, or other items) with less scrolling and fewer clicks. Like our other solutions QtitanNavigationDesignUI allows you create enterprise level applications without regard for the environment or backward compatibility in Windows, Linux and MacOSX. Component provide a solution to customize Window Title Bar. You can control the size of the non-client frame, the background color, system buttons and other elements. It became possible to add the Back button to the title bar instead of the system menu button. Special mode allows place the title bar directly on the window client area. There is a possibility to add a custom QWidget and in general fully managed rendering title bar through QStyle and the corresponding primitives that are responsible for rendering the title bar like QStyle::SC_TitleBarSysMenu, QStyle::SC_TitleBarCloseButton and etc. 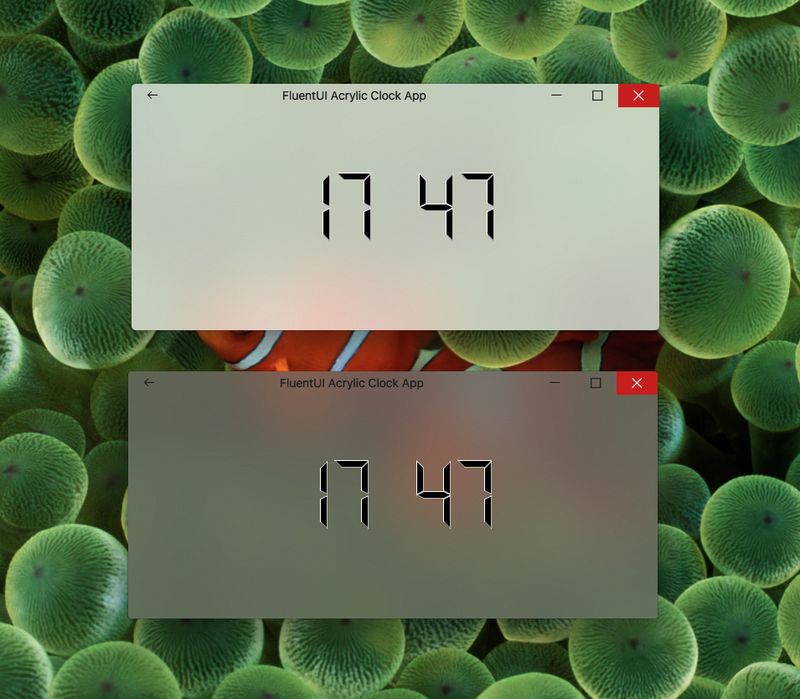 Under Windows 10 or MacOSX, component uses the native API to blend the material brush with the blurred background of the desktop. With the new navigation bar, it's easier and faster to find the information you need. It is located at the top of the main window of the application by analogy with QMenuBar. It may contain a number of navigation buttons with the icons or any widgets (QWidget). A number of classes to allow you quickly and inexpensively create applications supporting the Navigation Design concept and provide convenient navigation between application pages. NavigationFrame The widget provides a switch between the pages and supports a history of hits that can be associated with the "Back" button on the title bar. Several animation modes are possible when switching. NavigationMainMenu Together with NavigationBackstageMenu it is a new vertically stacked navigation structure. NavigationMainMenu contains a set of global tiles which can be associated with a subordinate low-level menu or just be associated with any user action (works like a simple button). NavigationBackstageMenu Is a single drop down panel that arranges items in categories. NavigationBackstageMenu may be subject to NavigationMainMenu's item or subordinate to the button located on the navigation bar. The component allows you to share the single menu with tile and button at the same time. NavigationSidePane Auxiliary popup panel which is normally used to display help information. But you can use other subsidiary objectives, for example to display the application settings. The panel is shown smoothly on the side of the main application window. Component offers to personalize the colour scheme using a theme options. You can change the colour of navigation bar, main menu background, backstage menu background, caption color, item default color, link color. In addition, the component options have several predefined colour themes to quickly choose. The component is designed in 100% native Qt/C++ and does not use external borrowings and third-party libraries. However, there are portions of code that are implemented on each platform in different ways. This is done because of some features of Qt, as well as by reason of improve rendering performance. QtitanNavigationDesignUI supports - Qt5.x 32-bit or 64-bit. Qt4.8 can be supported by the request. QtitanNavigation component has a convenient integration with Qt Designer. This allows you to manage location of the Navigation UI on the form in the design time. Navigation UI designer plug-in supports both QtDesigner and QtCreator. Additionally component contains a application wizard template for QtCreator.